Get ready for tomorrow to be Minion Day, you guys. Ever since EA announced Minions Paradise during its big E3 2015 presentation, I was ready to download it. With the Minions movie spinoff releasing in July, it seemed as though the game would be ready by then as well, but we've not heard a peep about it. That's all about to change, as tomorrow, October 13th, it goes live on the App Store. That's really inconvenient for me, because I have a lot to do and all, and I didn't need to get caught up in a big wave of Minions. But oh, how I want to. Minions Paradise follows the tale of the Minion crew getting lost at sea on an island paradise and trying to get off, or at the very least subsist while they're lost at sea. 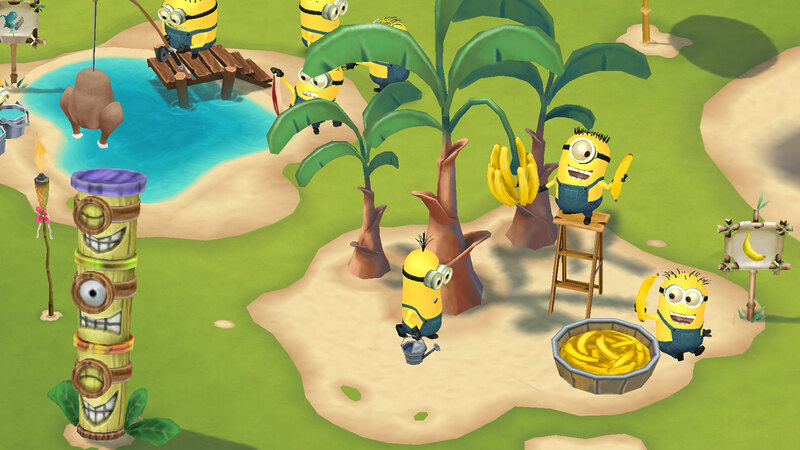 It looks like a very fun combination of games like Paradise Bay, except riddled with the Minion brand of fun, so if you're a fan of those games, you'll be pleasantly surprised with this free-to-play option. Finally!